It looks like we’re about to see new texting charges imposed on our telecom bills for no reason. 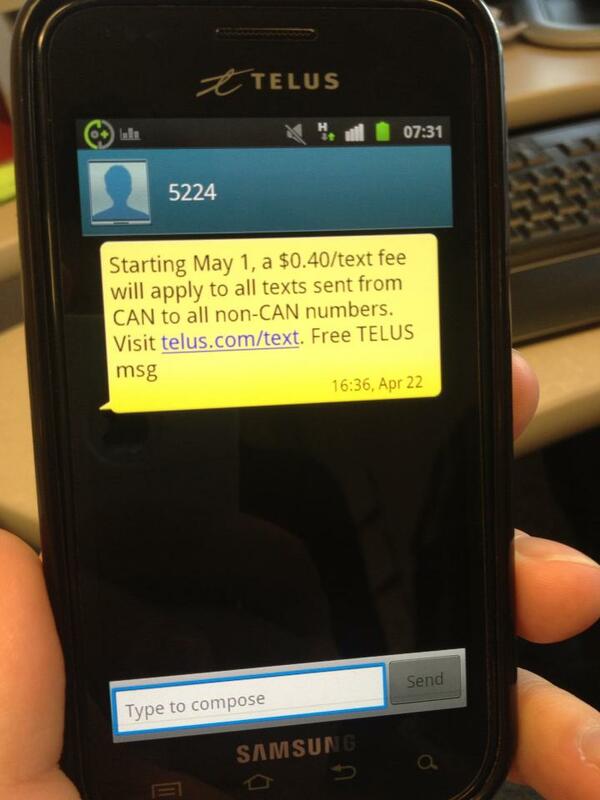 Telus has already sent a message to customers announcing an arbitrary new fee on text messages that cross the Canada-U.S. border.1 You can expect other providers to follow up with their own set of fees now. It’s a cash grab and everyone knows it.